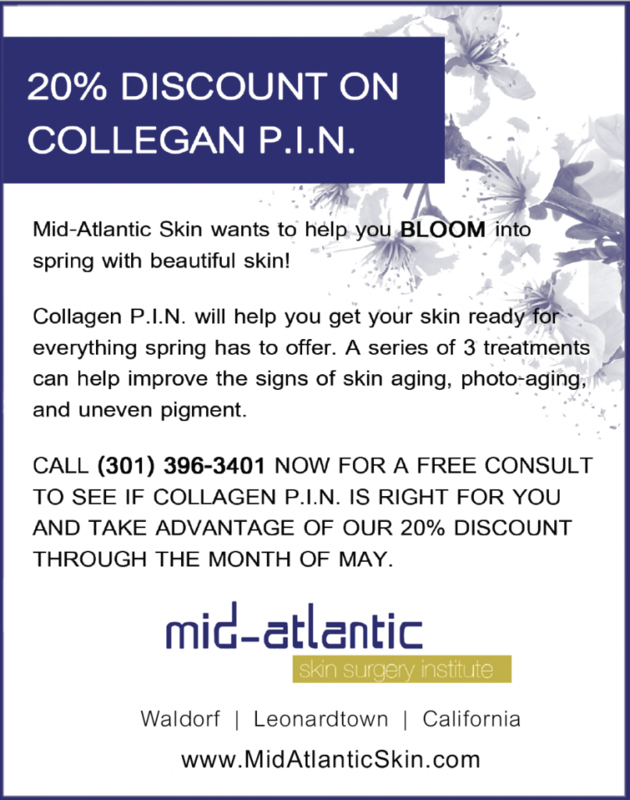 Now through the end of May, take advantage of our 20% discount on Collagen P.I.N. treatment. FDA-approved, Collagen P.I.N. (Percutaneous Induction Needling) is an advanced tool for miconeedling that addresses many common skin concerns including fine lines and wrinkles, aging, sun damaged skin, peri-oral rhytides, melasma, hyperpigmentation issues, acne scarring and rough texture just to mention a few. Miconeedling with Collagen P.I.N. is a very effective alternative to other needling devices such as a dermaroller as well as lasers and other ablative treatments. It can also be safely used on all skin types and on most areas of the body including the face, neck, décolletage, hands, arms, legs, abdomen and back. Typically a series of three to six treatments spaced four weeks apart is recommended, depending upon your area of correction or concern. A consultation with your treatment provider to discuss your individual goals and desires will determine the exact treatment schedule. How Does the Collagen P.I.N. Procedure Work? Prior to your treatment a topical numbing agent will be applied. The treatment provider will then use the Collagen P.I.N. to automatically insert fine short needles into the surface of the skin in the area(s) you wish to treat. Immediately after your treatment session your skin will look moderately red, similar to a mild sunburn; however, your normal coloring will commonly return within a day or two. A post-treatment skincare regimen based on your individual skin needs will be recommended. Initial results from treatment are typically seen as soon as one to two weeks after the first treatment. Positive results following completion of all the recommended treatments have been reported up to one year later. Individuals interested in Collagen P.I.N. in Southern Maryland should contact our office to speak with an experienced skin care provider.